Marcona almonds roasted with spices and sea salt. With horseradish beer cheese and Bavarian mustard. House-made spaetzle with wild mushrooms, Black Forest ham, and asiago. North country smoke house bratwurst with our curry ketchup and charred baguette. Venison and foie gras with violet mustard, pickles and charred baguette. Big Picture Farms grass fed beef with sauce mornay and mushroom duxelles on a pretzel roll. Sauerbraten gravy with hand cut fries and Maple Brook cheese curds. Hand cut fries with red cabbage carrot slaw and Bavarian mustard remoulade. Poached farm fresh hen egg with curly endive, croutons, charred bacon and mustard vinaigrette. served with French vanilla ice cream. Butter, walnuts and almond pastry served with French vanilla ice cream. chocolate almond cake with marzipan, apricot and chocolate glaze. blueberries, baked with butter cookies and whipped cream. vanilla ice cream, strawberries and whipped cream. lemon cake with vanilla cream, rum, strawberries and whipped cream. Vanilla egg custard, caramel sauce and whipped cream. Try one of our house cocktails – perhaps a Vermont Cider Moscow Mule, or a classic Manhattan? Or choose from our selection of Ayinger German Biers or well-stocked wine cellar. Enjoy a complimentary cheese board for two with the purchase of any bottle of wine! 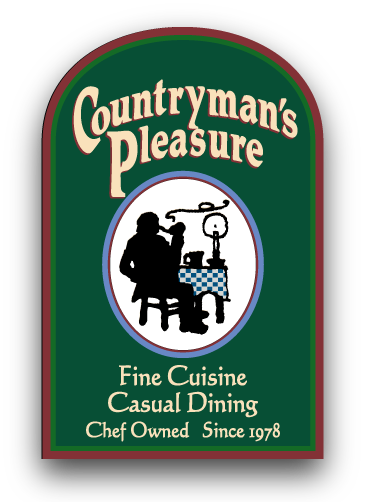 THURSDAY NIGHT IS LOCAL’S NIGHT WITH 15% DISCOUNT FOR AREA RESIDENTS.